WEST LAFAYETTE, Ind. 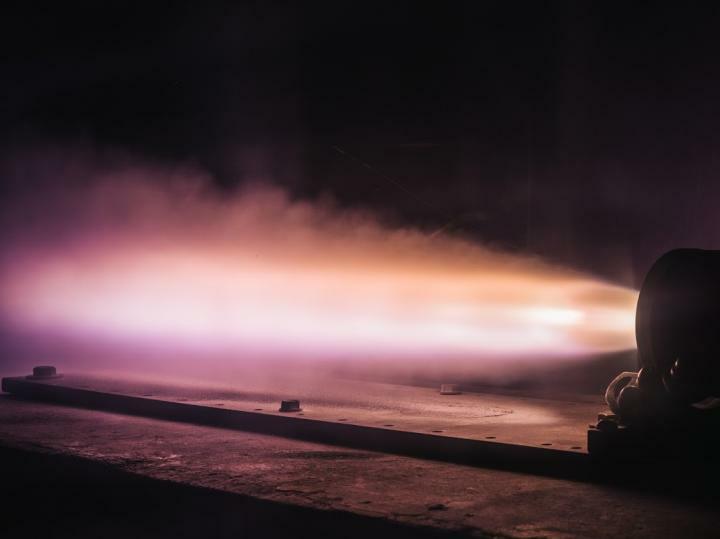 – Adranos Inc., a Purdue University-affiliated company developing a high-performance, solid propellant for long-range missile and space launch systems, has won the Army’s inaugural xTechSearch competition, besting more than 350 companies in the months long competition. The award decision was made by senior Army leaders based on what technology they believed could have the biggest impact on the Army’s modernization needs. Adranos previously was awarded $125,000 for being selected a finalist in the competition, which it used to perform a live flight demonstration of its novel rocket propellant called ALITEC. A video of the flight demonstration is available here. Adranos founders Brandon Terry, who received his doctorate in aeronautics and astronautics from Purdue, and Chris Stoker, an Indiana University JD/MBA alumnus, will use the $200,000 award funding to enable company growth and continued ALITEC development. The technology is a high-performance solid rocket propellant that has more thrust and is less corrosive than traditional solid propellants. Adranos’s flight demonstrations confirmed that ALITEC could substantially increase the range of ballistic missiles over traditional solid propellants. The technology aligned with the Army’s Long Range Precision Fire modernization priority, which is focused on restoring the U.S. Army’s dominance in range, munitions, and target acquisition. ALITEC is processed in the same way traditional propellants, meaning that it can be used in any of the current or future missile platforms employed by the Department of Defense. “We mix it the same way. We cast it the same way. We cure it the same way. The only difference is we’re replacing one metal powder with another metal powder in the processing,” Terry said. The propellant could be used by the Army, Navy, Air Force, NASA and other Department of Defense agencies, as well as U.S.-allied nations. The Expeditionary Technology Search, shortened to xTechSearch, called on companies to demonstrate technologies that can help the Army meet its modernization challenges. The goal is to seek nontraditional innovators who can work with the Army, including through cooperative research opportunities with Army scientists, as it modernizes the force. Adranos, which is named after the Greek god of fire, has previously received nearly $1 million of funding for ALITEC development. Stoker said $600,000 in funding came from Archibald Cox Jr., chairman of Sextant Group Inc., a private investment firm. Cox is the former chairman of Barclays of America and former CEO of Morgan Stanley International and various other companies. He is now on the Adranos Board of Directors. The remaining funds came from other state and federal programs. The company received startup assistance from the Purdue Foundry, an entrepreneurial accelerator in the Burton D. Morgan Center for Entrepreneurship. Adranos’ work aligns with Purdue’s Giant Leaps celebration, celebrating the university’s global advancements in space exploration as part of Purdue’s 150th anniversary. This is one of the four themes of the yearlong celebration’s Ideas Festival, designed to showcase Purdue as an intellectual center solving real-world issues. Adranos emerged as a startup from what is now called the Purdue Energetics Research Center. Technology used by Adranos is licensed through the Purdue Office of Technology Commercialization, which patented the technology. Adranos is continuing to raise funds to advance the technology.